Alongside the building development, the garden development and our mission we also hope to create opportunities for people to develop spiritually. We have already begun to explore a greater diversity of worship. 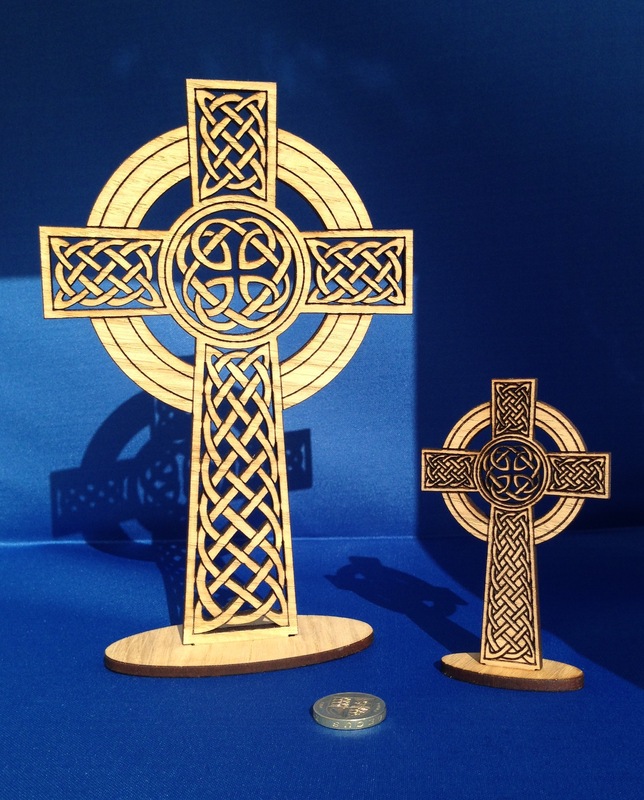 For the last twelve months we have experimented with more creative, prayerful and participatory worship and discovered that for many of us that has been really helpful. A tool that can be used to determine what Spiritual Pathway might suit you is the following…just fill in the questionnaire form the link below and transfer the answers to gain an insight into what spiritual paths work best for you. 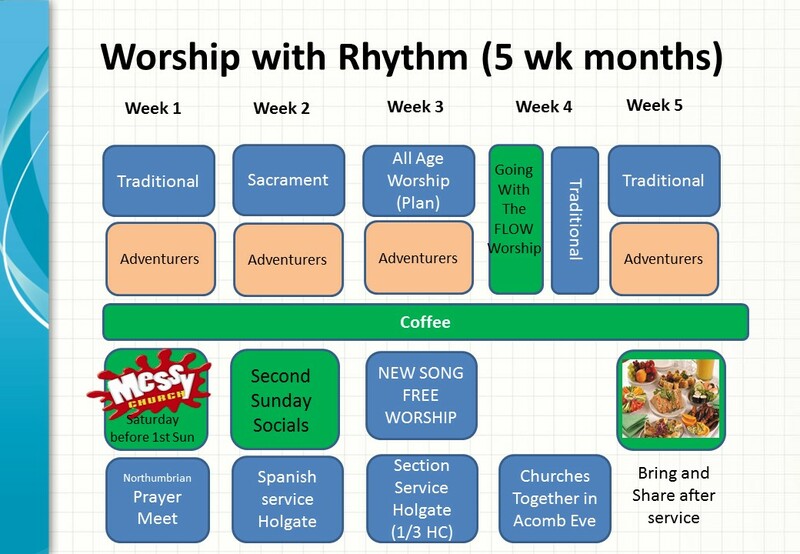 Spiritual-Pathway-Assessment In order to continue our development as a community we have developed a pattern of worship that tries to ensure a balance between all-age and family worship, participatory worship and traditional worship, alongside times to socialise and relax. 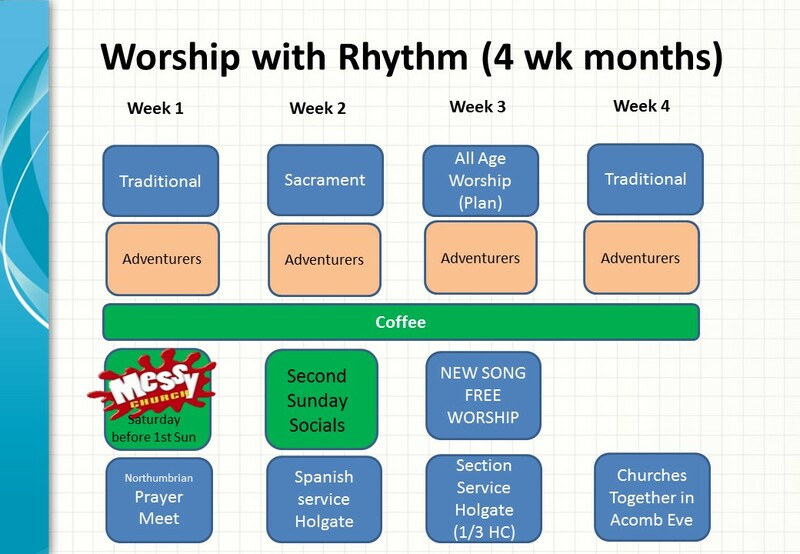 We have increased our Messy church to monthly, and are developing three new strands of worship. 1) Going With the Flow. 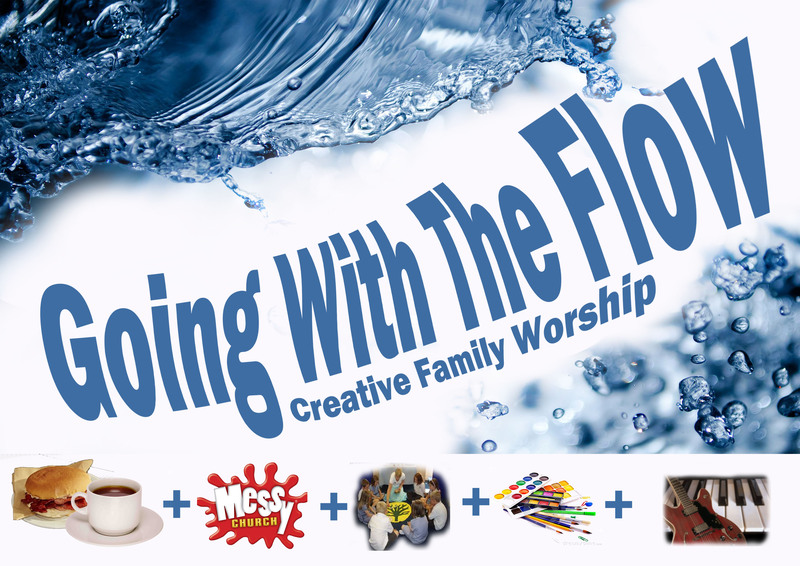 This worship starts with a bacon sandwich and breakfast, with some simple craft activities. We then move on to a time of worship and singing, before splitting into a Godly play story time, and more adult reflectiing on a biblical story. After that we unite and with a variety of options, from free-craft responses, to bible study, to conversations over a Sunday newspaper and finally a reflective, prayer space. Finally we reunite again, and draw together our reflections with some prayers and worship. 2) New Song Cafe. Arising out of a desire to sing and learn new worship songs, we use YouTube with lyrics to enable us to learn new songs, (suggestions always welcome). This is held together with people sharing freely in prayer and reflection. We are presently meeting every second month on the 3rd Friday evening – see our events pages. 3) Northumbrian Daily Prayer – Following the Northumbrian community prayer rhythm, this small group, we hope will with our ecumenical contacts establish a rhythm of gathering and prayer throughout the week. A small group are going on retreat at the mother-house to see the rhythm in action, and have now started short evening services at 6pm on the first Sunday of the month. 4) Small Groups/ Cell Groups – Small groups have always been part of the DNA of Methodism and many other churches. They offer pastoral care, teaching and more importantly learning from one another, worship, prayer and friendship. We plan to strengthen these small groups, whether they be formal cells, or other groups that meet within the life of the church during the next few years.